Glebe Road is in Northumberland County, Lottsburg, VA. I think this is a property that should have sold a long time ago. Its sits on deep water and is a quick run to the Potomac River and Chesapeake Bay. It needs a little updating but with its contemporary design and plenty of glass it has tons of potential. This 3 bedroom Rancher has it all on one level. A spacious Master Bedroom looks down the Glebe and has a sliding glass door onto the huge deck. The deck wraps around to a screened in porch. The very open floor plan offers a stone faced fireplace and sliding glass doors all around the outside perimeter. the pier, with its covered slip, water and electric, offers a short ride to the best fishing the Potomac and Bay have to offer. The owner kept his 35′ Cabo sport fisherman at the pier. There is a 2 car garage and a large shed for additional storage. 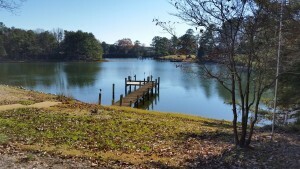 If you want to be close to the lower Potomac River and being closer to the Metro DC area this is a Northern Neck waterfront property you might want to put on your to look out list 1120 Glebe Road, Lottsburg, Va.
To view all pictures go to, https://northernneckrealestatesales.idxbroker.com/idx/photogallery/a419/98881. If you have an interest please call Ken Smith, a Northern Neck waterfront Buyers Agent. 804-366-2325. This 3 bedroom Waterfront Pool Home home sitting on a prime 1.7 acre waterfront lot with over 200 feet of shoreline has got to be one of the best deals out there today if not the best. *|FNAME|*, If you have been waiting for the right time and price I wish you would consider this. I truly believe you can’t go wrong. Joe Self Realty is a full service Real Estate Firm in the Northern Neck. Click on the image below to watch video of the property and shoreline. You can also search all waterfront properties in the Northern Neck. Warm weather has finally arrived. The daffodils have bloomed, the dogwood are blooming, crabs have started to run, the farmer’s markets are opening and waterfront properties have are drawing an interest at a pace that hasn’t been seen in years. Yes, things have really started to pickup. Last month 17 properties closed in Northumberland and Lancaster alone and 2/3’s of them sold for over 600k. That 600k price leads me to believe that there is more confidence in the market as clients are buying higher dollar properties than what had previously been closing. Plan a day to come visit but before you do take time to search the Northern Neck MLS to see if your waterfront dream is out there. Luxury waterfront properties can be found in the Northern Neck of Virginia with 1000’s of square footage or unlimited waterfront views. Northern Neck Real Estate is affordable with unique properties that can’t be found less where in this country. From just a small family get away to the an elaborate luxury waterfront home the Northern Neck has the property you are looking for. 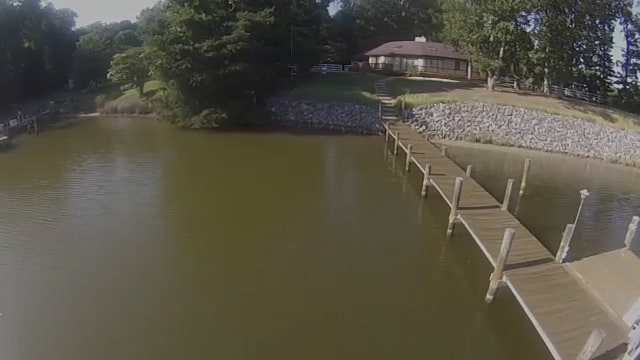 Here are 28 waterfront homes in the Northern Neck with over 3.500 square feet. Compare these prices and properties to the following 4. Time to break the bank. These ultra-luxurious properties, from an 1,800-acre beachfront ranch in Santa Barbara to a private island in Florida, come with price tags to match. You could drop a cool $250 million on the highest-priced home in America on the market right now. But you wouldn’t be on the beach. And what’s the point of spending all that money if you can’t have your morning coffee with your toes in the sand and sea? With an eye on the ultimate real estate prize—being on the water—here are four gloriously luxurious estates that are among the top 25 most expensive offerings on the market. Check them out, and call your banker. Protected from the outside world by acres of conservation land and the water of the Long Island Sound, Great Island—connected to the mainland by narrow isthmuses—has 63 acres of New England greenery and views of the Sound from the stone main house. Outbuildings include a stable, beach cottages, a caretaker’s house with a greenhouse, and a cow barn. Only 55 minutes from Manhattan, this estate also has a polo field and a workout track for the equestrians in the family. Great Island is listed by David Ogilvy and Kathleen Coumou of David Ogilvy & Associates Realtors/Christie’s International Real Estate. In the rolling hills of Goleta, not far from Santa Barbara, this working ranch is a rare piece of California property—1,800 acres, to be exact. Las Varas Ranch has flat pastures, forests, orchards, creeks, a private reservoir, and two miles of beachfront. It also has a large owner’s residence, a guest house, and various outbuildings (some of which are from the 1880s); you can see all its offerings on the property website. Las Varas Ranch is listed by Anthony Punnett of Douglas Elliman Real Estate. A private island in the Florida Keys is hard to come by; a private island you can make your own is even more rare. But Pumpkin Key is just that: a 26-acre island with one main home, two caretakers’ cottages, and a dock master’s apartment—leaving plenty of room for customization. It currently has 12 large bay-front lots, a central tennis court (which can also serve as a helipad), and a 20-slip marina, but with an island like this, anything is possible. Pumpkin Key is listed by Russell Post Sotheby’s International Realty. With this once-in-a-lifetime property, you get eight private islands for one (sizable) price. Scattered across the Thimble Islands of the Long Island Sound, offshore of Branford, Connecticut, this groomed collection has multiple residences, guest houses, and outbuildings—see inside some of these storied properties here. At the center of it all is Rogers Island (pictured) and its 10-bedroom estate. With accommodations scattered across the islands and docks and piers that allow boating among them all, it’s difficult to imagine what this property is lacking. This Thimble Islands collection is listed by Shelly Tretter Lynch of Sotheby International Realty’s Greenwich Brokerage. Today, home inspections are almost universally recommended by every real estate professional. When it comes to their clients—especially first-time buyers—many are not familiar with the home inspection process, and what they can expect. Here are a few things you can do to prepare your client for a home inspection. All home inspections are not created equal. 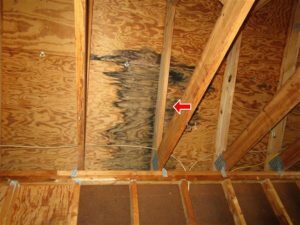 Outline criteria that distinguish a reputable home inspection company, like finding out if a company is licensed and certified (in states where applicable). Encourage clients to look at how professional a company is. Do they have a professional website? Do they arrive in uniform with marked vehicles making them easily identifiable? Do they deliver an electronic report with photos? Verify that they have both errors and omissions and general liability insurance, which covers the agent and the inspector. Consider how convenient it is to work with them. Do they make the experience easier with online scheduling? Do they text or email reminders about the inspection? Do they schedule any additional inspections that would be requested by the client, like pest and radon inspections? Each of these criteria will help enhance the client’s overall home-buying experience. Prepare buyers for home inspections by helping them understand the inspection process and how to maintain perspective. Home inspectors are generalists who have a wide range of knowledge that allows them to evaluate the readily accessible systems and components of a home, and having a home inspection enables clients to make informed decisions with confidence. Some buyers are more comfortable when their agent attends an inspection with them. This also allows you to assist with any seller issues and to see how an inspector will deal with call-backs if you or the buyer have any questions about the inspection. Listing agents can help their clients prepare for the best inspection possible by reminding them that a clean and orderly home gives the impression of a well-maintained home. Encourage them to have the HVAC serviced and cleaned prior to the inspection. Check plumbing for leaks and examine ceilings for water stains or signs of other water damage. Let the client know that having a pre-sale inspection can lead to a smoother transaction and will likely identify issues the buyer’s inspector would uncover. If the house is vacant, make sure all the utilities are on and be sure the inspector has clear access to the attic, crawlspaces, heating system and garage. Northern Neck Mortgage Rates – On the Rise? Will mortgage rates in the Northern Neck rise? Mortgage rates here are tied to whatever the national mortgage rate is and rates are rising. The highest interest rates in well over a year are putting a dent in the mortgage business. Total mortgage application volume fell 9.4 percent last week versus the previous week, on a seasonally adjusted basis. The Mortgage Bankers Association adjusted the weekly reading to account for the Thanksgiving holiday. Volume was 0.5 percent lower than the same week one year ago, the first annual drop in total volume since January. The average contract interest rate for 30-year fixed-rate mortgages with conforming loan balances ($417,000 or less) increased to 4.23 percent last week from 4.16 percent, with points increasing to 0.41 from 0.39 (including the origination fee) for 80 percent loan-to-value ratio loans. That rise was a continuation of a sharper jump following the election of Donald Trump. While refinance volume also fell the previous week, mortgage applications to purchase a home rose sharply two weeks ago. That surge may have been buyers on the fence rushing to get in, fearing rates would move higher, as they did. Purchase volume last week was essentially flat, falling 0.2 percent and volume was just 2.9 percent higher than one year ago. Ken Smith is a Northern Neck native and who specializes in Northern Neck Waterfront sales. He works primarily as a Buyers Agent. Call or email Ken and let him direct you you to that waterfront dream home. Suppose you finally came to an important decision—that this fall is going to be the right time for selling your waterfront house. If you had been biding your time, watching other waterfront houses being listed and closed throughout the summer, you may also have been getting a head start on some major maintenance or remodeling projects that you knew would be needed once you put your own place up for sale. But what if even all the prep work nonetheless left you with the feeling that the old place still wasn’t quite ready. What if something still seemed to be missing: something you couldn’t quite put your finger on, but something that you just knew was needed to pep up the showings that would soon be taking place. Selling a house to yield its maximum value can be more art than science. One of the skills that’s quite important is being able to envision what prospective buyers see. Especially with older properties, selling a house that to you seems filled with comforting familiarity might seem worn out (or just plain used) to others. Although many prospects do prefer older neighborhoods over newer ones, most folks also have a contradictory impulse: they appreciate the allure of the new. They may hanker for the mature landscaping and established community structures of older neighborhoods, yet simultaneously would prefer a place that seems freshly renewed. Cabinets – It’s relatively easy to put a fresh face on worn cabinet doors and drawers to rejuvenate a tired-looking kitchen. You can find a wide range of reasonably priced panels that fit many cabinets. Sometimes the same effect can be achieved by re-staining—or simply changing the cabinetry hardware (go for stainless or brushed nickel to achieve the look the majority of today’s waterfront buyers prefer). Appliances – Full kitchen remodels can be more expensive than is really practical, but sometimes much of the same effect can be achieved by simply replacing an old range, oven, dishwasher or refrigerator. Re-facing appliances that are perfectly serviceable (especially stainless surfaces that can’t be rescued) is another budget-wise option. Tired-looking sinks and fixtures can all but ‘sink’ the prospects of selling your waterfront house. Sometimes the addition of stylish faucets and some fresh caulking can transform a kitchen or laundry room. As you close in on the time for selling your waterfront house, sometimes a fresh pair of eyes can help you see what still needs to be done—or, importantly, what doesn’t! It’s a very good reason to give me a call! Understanding the Northern Neck factors that come into play when buying or selling a home—or any practical real estate information at all—high school (or even college) graduates are on their own. If any real estate information has even been touched upon, it will have been in the most cursory manner: at best, one line item in a Home Economics budgeting discussion. 100 Questions Every First Time Home Buyer Should Ask is Ilyce Glink’s compilation of insights from top brokers across the country. Northern Neck first time buyers aren’t the only readers who will find this general reference valuable—Northern Neck home sellers who want insight into the concerns of potential buyers will find it a useful resource. The “100 Questions” don’t address every Northern Neck real estate information topic; but on the whole, this book is concise and informative. Solid, practical information for homeowners readying their property for the Northern Neckmarket can be found in Rhoney and Richard’s Smart Essentials for Selling Your Home. In the same way that 100 Questions book is also useful to sellers, this one would make excellent reading for prospective home buyers who recognize the importance of understanding sellers’ priorities. Smart Essentials is mercifully short: just 92 pages! The second edition of Gallinelli’s What Every Real Estate Investor Needs to Know about Cashflow has been around for a while, but comes highly recommended for its textbook-level explanation of how economists digest real estate information for investment purposes. The formulas are all there, as well as examples that demonstrate how to apply them. Reading it won’t encourage prudent Northern Neck non-CPAs to do their own business tax returns—but will acquaint them with valuable foreknowledge on how their tax advisor approaches maximizing their refund. Its description of four different ways to make money from real estate can be eye-opening. The Book on Estimating Rehabs. This is a book Northern Neck real estate information-seekers should find well worth its hefty paperback price tag ($22.49 on Amazon). It details a variety of different approaches to projecting a rehab budget, including a breakdown of the 25 components that need evaluating. Books can provide invaluable background information for real estate newcomers and veterans alike. Another essential is the assistance of a knowledgeable agent: good reason to give me a call! The Northern Neck real estate listings consist of the lineup of Northern Neck homes that are currently “on the market.” They’re for sale. Offered to buyers. Available for purchase. “On the market” is a straightforward real estate term; end of discussion. So, you’d think that “off the market” should be equally unequivocal, and it would be, if it weren’t for “off-market,” with which it’s easily confused. And then there’s the fact that what actually happens after a formerly listed property goes off the market can result in a several different outcomes. In real estate, off the market denotes a property that was listed in the past but currently pulled from the market. It no longer appears in the updated Northern Neck real estate listings, either because the owner has decided not to sell, or because the property is now in the process of being purchased (so more buyers don’t need to be recruited). When phrases like ‘under contract’ appear in a listing, it has the effect of being off the market at the moment, though interested buyers might keep an eye on it in case the sale doesn’t go through. An owner might withdraw a home if they now believe the market is not active enough to warrant more effort at this time, or because some event has caused them to decide to keep the house. Off the market, in today’s web-centric real estate reality, is not quite as cut-and-dried as in former eras. Because the Internet never seems to forget anything, an off-the-market property may still pop up onscreen when buyers search for new Northern Neck homes for sale (particularly when some of the national sites don’t promptly remove outdated listings). Your Northern Neck Realtor® can keep you up-to-date on the current status of any local property. On the other hand, Off-market is sometimes used as a synonym for “off the market,” but can be used by some national websites for upcoming properties that are being marketed, but have not yet been listed. More often, off-market is used to denote a property that is for sale but will not be advertised publicly. Since such a property isn’t entered into the Northern Neck MLS at all, most potential buyers will be unaware that it’s available. You might think this is a nutty way to try to sell a home, but there can be good reasons. Celebrity owners may be in a constant battle to stay out of the public limelight, and therefore resort to an arrangement (formal or informal) with a broker to discreetly market their home. Later news will say something like, “Janet Showbiz sold her 18 bedroom Bel-Air estate off-market for $11 million.” Some extremely high-end real estate offerings are offered quietly to other brokers. This is sometimes called a ‘pocket listing.’ When successful, it results in an off market sale. You don’t have to be a celebrity to want to discreetly search for—or sell—an Northern Neck waterfront home. If you are beginning to think over your Northern Neck real estate options, whenever you call me for a no-obligation consultation, it will always be treated with complete confidentiality. The way the media treated last week’s federal funds rate announcement by the Federal Reserve Board was a convincing demonstration of how much importance is placed on that singular piece of the financial puzzle. That rate may not be directly tied to the Northern Neck mortgage interest rates, but since it determines lenders’ borrowing costs, its effect is considerable. For many years now, mortgage interest rates in the Northern Neck have been comfortably nestled near the bottom of their historical range. Many Northern Neck property owners have enjoyed the resulting low monthly payments on their mortgages. Northern Neck home sellers have likewise benefitted from home loan interest rates that make their properties more affordable than would otherwise be the case. The Fed left rates unchanged. The most highly anticipated announcement in years was, the same one it’s been making since 2008. The stock markets didn’t react at all at first. Later, they closed mixed. The next day, mortgage interest rates crept downward. What seemed to be an excitement bust for the media was good news for many of the viewers. When the Fed funds rate continually hovers close to zero, there’s ample reason to suspect that mortgage interest rates in the Northern Neck and nationwide might stay put for a while. TheStreet website later reported that they expected rates to rise a bit before year’s end. Given the recent record of expert predictions, it might be safer to stand behind one with a better chance of success: the next Fed announcement, I predict, will be the most anticipated announcement in years. Meantime, if you have been mulling over whether to buy Northern Neck Real Estate and take advantage of the current balmy mortgage interest environment, I hope you’ll give me a call! (804)366-2325 or email ken@kensmithrealtor.com.